What investment you can make in sales and marketing to grow your business. Which of these investments deliver results, which don’t and why? The cost of delivering what you do, so you can drive greater efficiency and control cost. What strategic decisions are best for your business. 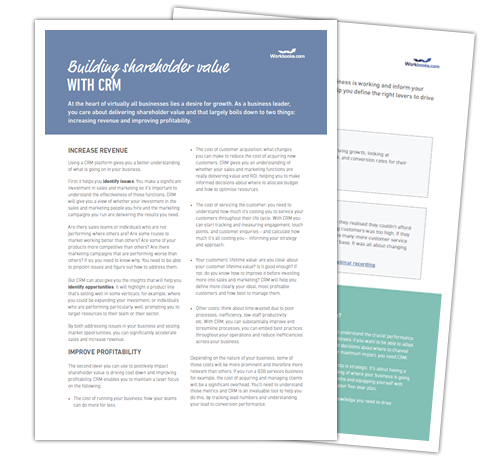 Download our whitepaper to find out how CRM can give you the knowledge you need to drive business success.